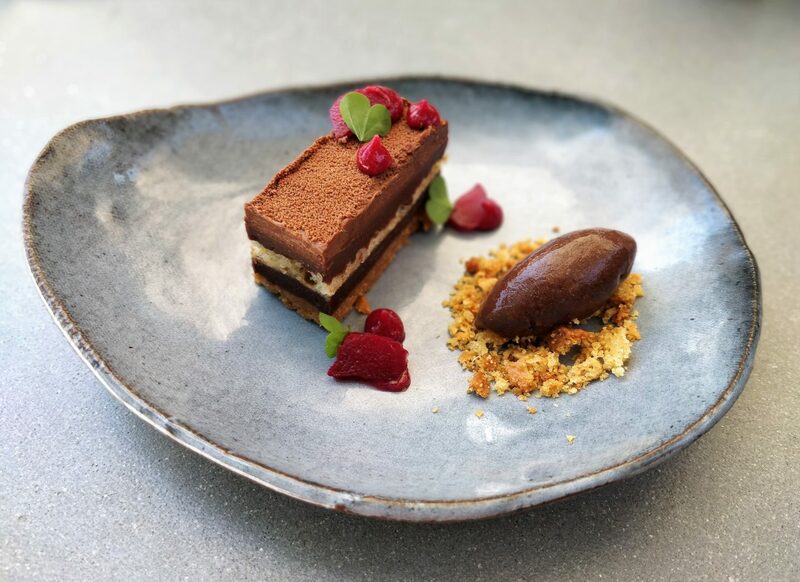 Cape Town has its fair share of world-class restaurants, and although Protégé in luxury boutique hotel Le Quartier Français only opened in late 2018, it has already garnered rave reviews. 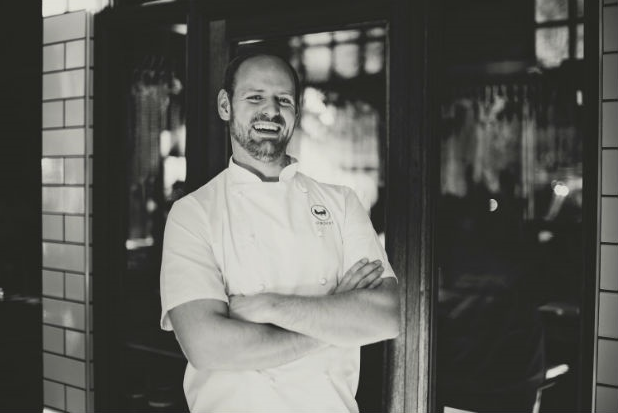 Under the guidance of La Colombe’s Scot Kirton, former head chef Stephen Raaf, who has been with the group since 2013, was responsible for mentoring young chefs eager to develop their culinary and managerial skills. I met him when we had lunch at Protégé on the last day of our South African trip and chatted to him about his background, the challenges of working in an open kitchen, social media and breaking the Internet. 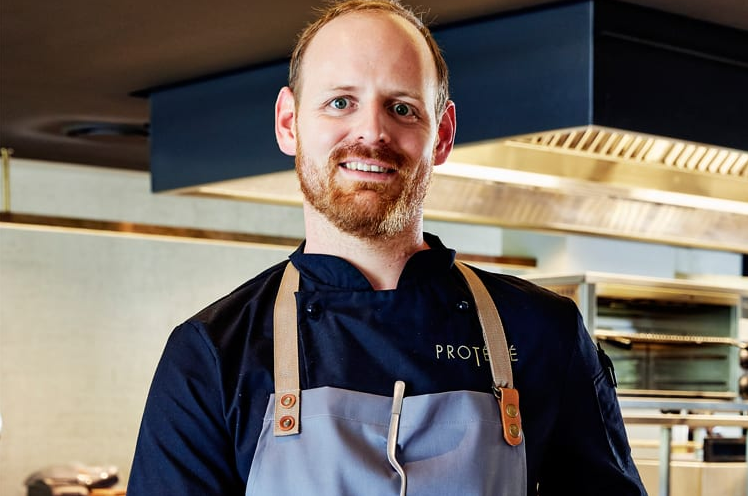 Protégé is about recognising young talented chefs and giving them the opportunity to put themselves on the map. What were some of the challenges that you faced when you started in the industry? When I first started in the industry, one of the challenges I faced – and one which I think most new chefs face – was adjusting to the hours that we work. It’s unlike most jobs and entails longer working days. Other challenges I’ve faced would be balancing work and life so that you have that separation. How do you decide which plates to put on the Chef’s Menu at Protégé and how often do you change it? The chef’s menu changes day to day. Some of the courses are staples, like the Korean Fried Chicken and Lamb Roti, but being able to change the menu allows us to get a good idea, and feedback on all the dishes and then adjust if needed. What are the advantages and disadvantages of having an open kitchen in the heart of the main dining area? Having an open kitchen is a new experience. I find it’s quite nice to take the food out to the guests and interact with them. A lot of the guests enjoy being able to watch the team in action, see how the kitchen works and just how much goes into a single dish. In terms of disadvantages, the chefs have to adjust to being in the limelight the whole time, meaning they need to remain clean and professional at all times. When a kitchen is a closed off, there’s a little more room to relax and joke around with your co-workers. Apart from the warmer weather, what prompted you to swap Canada for South Africa, and what makes the latter’s cuisine so unique? I was born in South Africa and moved to Canada when I was three years old. I always enjoyed food and all my part-time jobs when I was a teenager were in restaurants. One year, my family and I went on holiday to Cape Town to see our cousins and for myself and my siblings to see where we had come from. When I returned home, I started to look into programs of all sorts that were offered in Cape Town. That’s when I found Silwood Culinary School. After doing a bunch of research and looking into other schools, I decided to start my training as a chef. 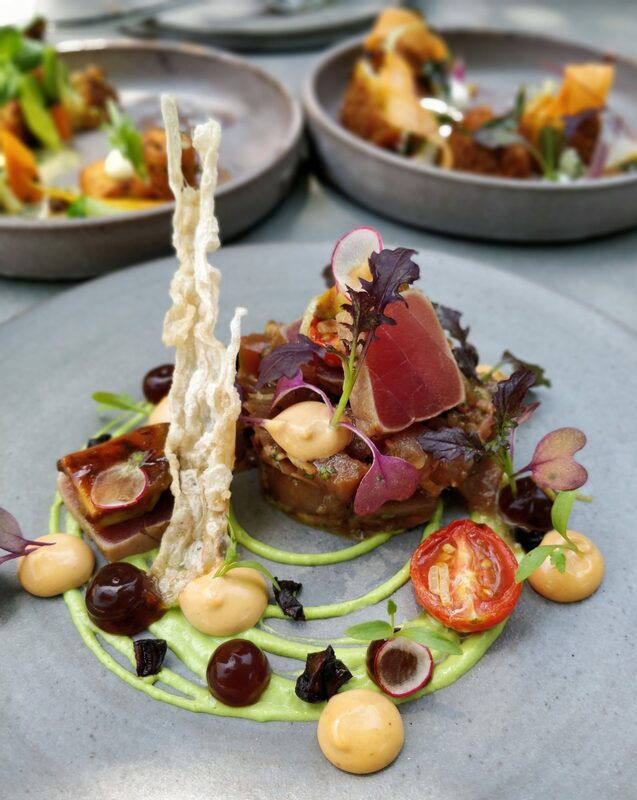 Cape Town has an amazing food scene. There are always new restaurants opening up and so many different styles. The quality is very good, from your normal chain restaurant to a fine dining restaurant, which is something you don’t get in Canada as much. I don’t particularly miss all the snow either. In your Facebook profile, you say, “I like to cook, specifically bake.” What do you love about baking and what do you make the most? I’m surprised you found much on Facebook; I barely use it. When I was doing my training, I loved baking and pastry. I actually wanted to pursue pastry, but in my apprenticeship year of training, I was needed in hot kitchen. I’ve been in hot kitchen ever since. I still enjoy pastry, but don’t get to do it as often. I quite enjoy making macarons, and love making ice cream, probably because I love eating it so much. 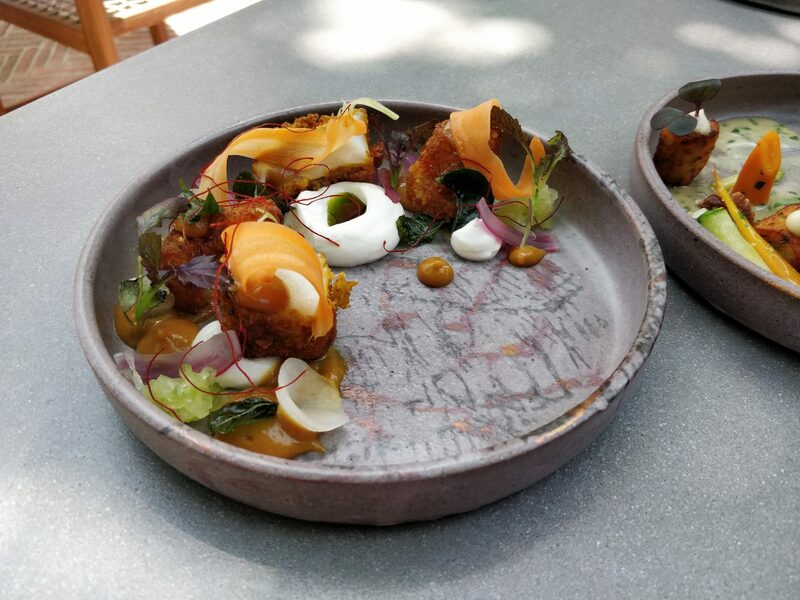 The dishes at Protégé are casual yet refined, and sharing is encouraged. Do you think fine dining has had its day, or will there always be a market for it? I believe fine dining will always have a place. I think fine dining itself will become more relaxed in terms of the atmosphere, but remain the same in terms of food. There will always be guests who want the formal traditional fine dining experience. Diners taking photos and videos of their meal to share on social media platforms and blogs is very common nowadays. How do you feel about this modern-day obssesion? There are pros and cons to this new media obsession. It’s great coverage for getting the restaurants’ name out to more people and potentially bringing in more guests to experience the food. The big problem with it is that chefs plate the food a certain way for the guest to see. When the server brings your dish out, it’s placed in front of you at a specific angle. Guests love taking photos, but sometimes don’t take great photos and then post a picture that doesn’t do justice to the dish itself. If you were to do a kitchen apprenticeship anywhere in the world this year, which restaurant would be at the top of your list and why? If I could go anywhere this year, I’d love to go to D.O.M by Executive Chef Alex Atala, or Osteria Francescana by Massimo Bottura. I’d love to go to D.O.M because the concept and food is amazing. He’s very into foraging, giving back to the communities and using what the land has to offer. On top of that, Alex Atala is just a very interesting human being; I think he’d have loads of stories and knowledge. I’d also love to work with Massimo Bottura as he seems like a very down to earth chef. He runs his kitchen like a family, treating them all like loved ones, not just his employees. His food is also very good and has a twist on the traditional preparation. There are so many things that could impact the Internet, assuming we’re talking about a new dish or food item that people go crazy over and repost millions of times. I think if the rumours of the world running out of chocolate eventually come to fruition, that would break the Internet. At least for me it would. I think that if life from another planet is discovered, either by our race or is revealed to be true by them contacting us, that would break the Internet: millions and millions of people posting their thoughts and comments to countless people researching what to do on Google and how to survive worst-case scenarios. In all honesty, when people hear my name, I think their first thought would be, “Who is that?” I’m only just starting out as a head chef and working on making a name for myself now, so only time will tell where that takes me. This is one of those questions I’ve daydreamed about many times before, and it’s also one of the hardest to answer. I’d have to say the ability to fly: I’ve always thought that it’d be awesome, and feel so free. I’d probably just fly around all the time, wearing a disguise so no-one could find out who it was. In which ways are you the same as your childhood self? I believe that I’m quite similar to my childhood self. I’m still a kid at heart; I don’t think I’ll ever lose that part of myself. There’s also my sweet tooth: for as long as I can remember, I’ve always had a huge sweet tooth. 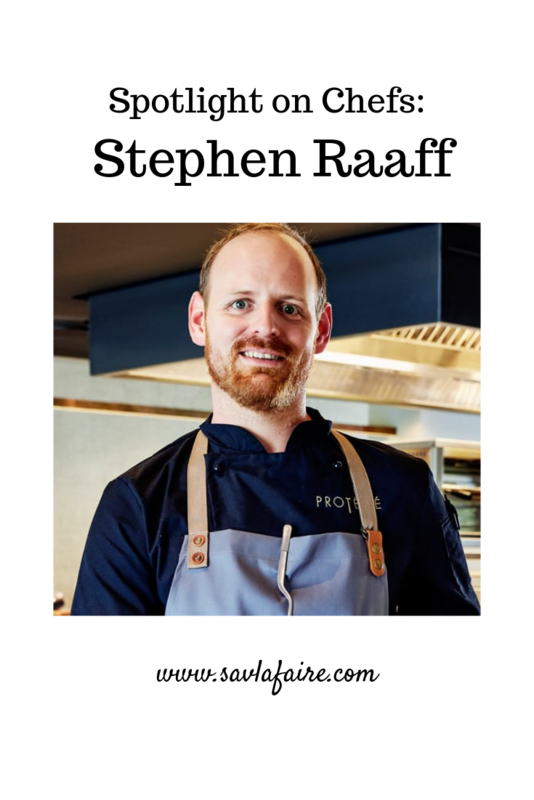 If you enjoyed reading this Stephen Raaff interview, you can check out more exclusive Spotlight on Chefs interviews here. 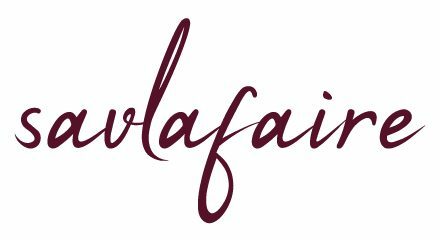 All images are my own, unless otherwise specified, and remain the trademark of www.savlafaire.com.